Diva Says What: Book Giveaway! Let's start the week off with a giveaway, of the literary persuasion. 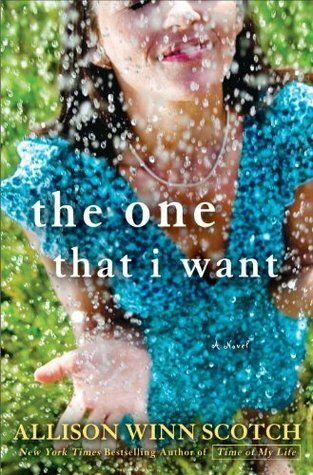 The featured book for today's giveaway is The One That I Want, by Allison Winn Scotch. This book is the eye-opening tale of a woman who is forced to reflect on the path her life is taking, and and to realize that this might not be the direction in which she really is destined to go. A great story about self-reflection and opening one's mind to the unexpected possibilities that life may present. To enter simply leave a comment saying hello, what you did last weekend, or whatever is on your mind. I pinned your blog on my Pinterest page! And I think Nancy is joining too! Leaving for the beach soon...and I'd love a new book to take along ocean side to read while I sip on a nice cold beer!